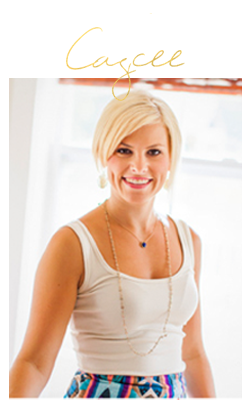 Hanging with the Hewitts: New Shopbop Markdowns... Hunter, Joie, Parker and more!!! New Shopbop Markdowns... Hunter, Joie, Parker and more!!! Whoop whoop Shopbop just made TONS of new markdowns! 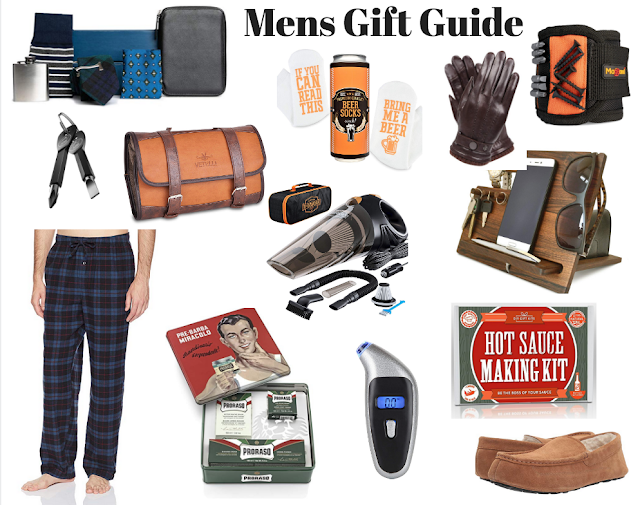 There are so many good ones, but the ones below are my top picks from the sale!! If anyone has an upcoming wedding to attend, or a fun cocktail party please get this dress! I wish I had somewhere to wear it, because it's absolutely stunning! 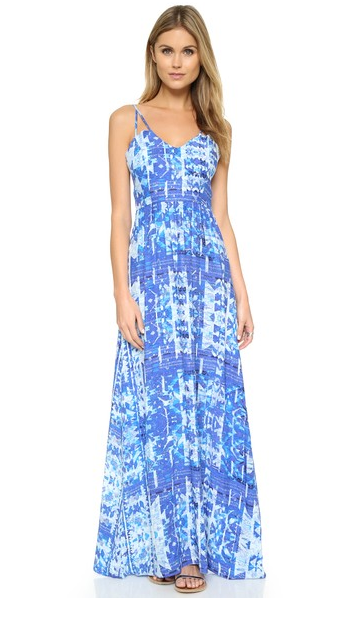 This color and print also comes in this wrap dress as well! 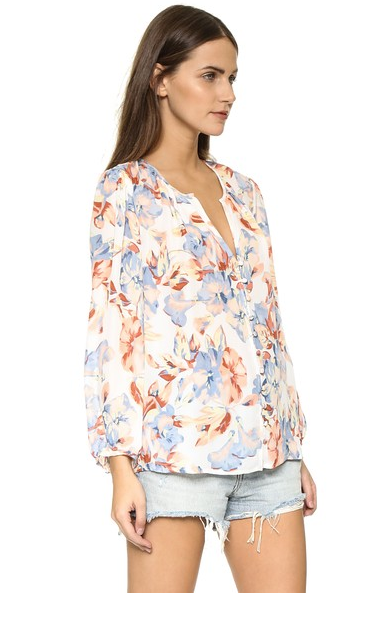 The colors and the style of this blouse are simply stunning, and perfect for spring and summer! I have a few pair of Rag and Bone jeans, but I have yet to get a solid white pair! I know everyone raves over these, so I am considering giving them a try while they are on sale! It's not very often you see the classic Splendid pjs on sale, and I love this beautiful blue color! 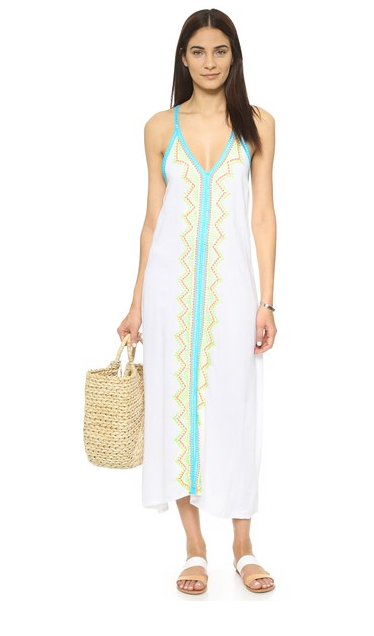 This beach maxi is gorgeous, and I love the embroidered details too! 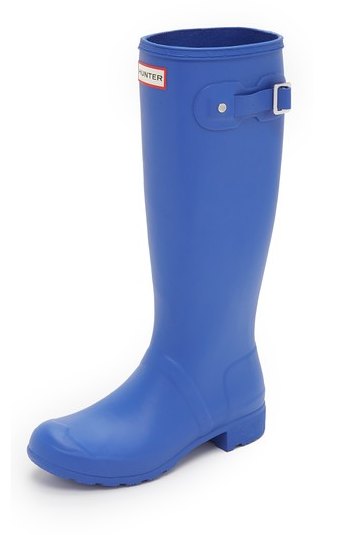 This blue so pretty and perfect for rainy spring days!